The new WLS Online Catalog is now live! You can see our new catalog at https://catalog.westchesterlibraries.org. Try Tutor.com for online homework help, test prep, and career resources. Click here for help getting started. Volunteer with our popular Medicare and senior benefits counseling program. Next training is the week of April 8. Check out our flyer. A strong cooperative library system empowers all of Westchester's public libraries to inform, enrich, and engage our communities making them stronger and more vibrant. 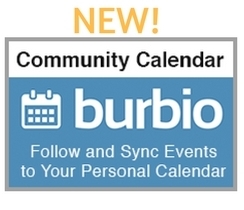 Our calendar provider, Burbio.com, allows you to follow this calendar as well as sync our events to your personal digital calendar. Just click on "View on Burbio" to add, sync or follow events. 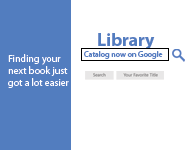 The Westchester Library System is pleased to announce that patrons can now view the library catalog records via basic browser searches. WEBS Career Workshops have been scheduled for Winter/Spring 2019. See what workshops are available. Need help managing your career? Sign up now for an 8-week Seminar by calling WEBS at 914-674-3612.